Data science is like a treasure hunt. You never know what nuggets of insight you will find that can completely disrupt the way we see the world. With a curious mind, questions after questions lead you on an adventurous journey -- is it a new world or the silk road around the corner? I knew the co-founders, Oksana Sokolovsky (CEO) and Rohit Mahajan (CTPO), when they first started on a mission to solve some of the biggest challenges in enterprise data management. Data science relies on the availability and accessibility of quality data, yet many companies have disparate systems that keep data in silos and in different formats, making it hard if not impossible for data scientists to analyze the data. This is the main barrier I see today, and a growing problem as companies extend their data analytics capabilities. Io-Tahoe is solving this problem in a unique way, by leveraging data science to help data science – why not take advantage of artificial intelligence and machine learning to help discover data relationships and help organizations clean up their data swamps? This is a very novel application of machine learning and so I decided to join them on this journey as their Chief Data Scientist. 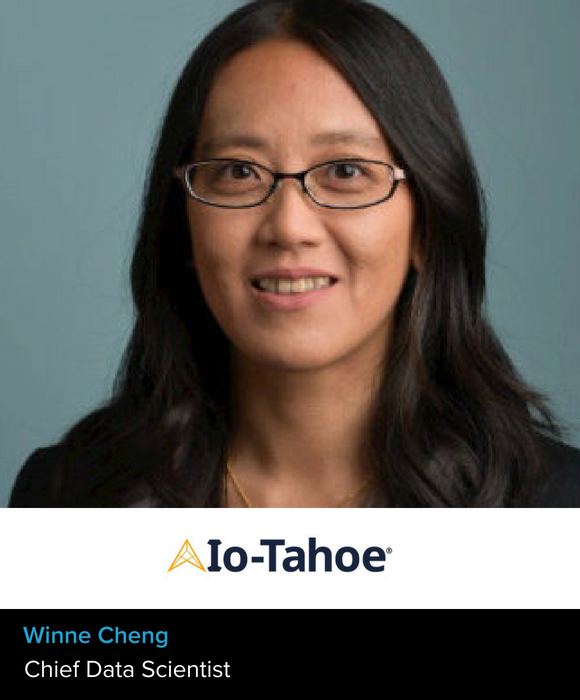 Io-Tahoe also has a very diverse technology team, and a female CEO is an inspiration to all women looking to excel in the tech world. My PhD advisor at MIT, Prof Barbara Liskov, has taught me a lot directly and indirectly. She demonstrates how women can be successful both in the work place and at home. Prof Liskov was an ACM Turing award winner and is the first women in the US to get a PhD in Computer Science. She taught me the importance of focusing on core issues and to not be distracted with noise and insignificant findings. She also has amazing time management skills, which is critical, especially for women, to achieve a good work-life balance. There are many exciting projects I could mention, but if I have to choose one, it’s around the Data Catalog capability we announced in March. We have designed several patent-pending machine learning techniques to help organizations define policies and implement data governance workflows. Instead of providing software that simply allows your data owners to manually enter metadata and static catalogs, we have algorithms that can lighten this work and enhance information about data automatically. Io-Tahoe’s Data Catalog is an interesting demonstration of human-in-the-loop AI. Not only do you need powerful algorithms to make inference and crunch massive datasets, you also need UX design so that humans and machines can work effectively together to solve problems. This project has taught me to think about solutions holistically and from the end user standpoint. There are tons of data analytics tools out there. It is important to learn how to use some of them effectively so that you have them in your utility belt. However, don’t forget to focus on asking the right questions and solving relevant problems with the appropriate tool. Don’t be tempted to use the latest hammer on every problem you see.